In order to comply with the shared responsibility provision (individual mandate), all Americans must maintain health insurance that is deemed minimum essential coverage, unless they qualify for an exemption. 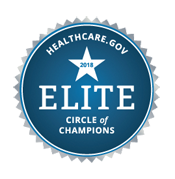 Plans that qualify as minimum essential coverage include employer-sponsored plans, individual major medical plans (including new ACA-compliant plans, grandfathered plans, or pre-2014 grandfathered plans that have been extended into 2014), TRICARE, Medicare, most Medicaid plans, and CHIP, among others. Policies that are not major medical coverage and not regulated by the ACA (including discount plans, limited-benefit plans, critical-illness plans, accident supplements, and dental/vision plans) do not count as minimum essential coverage. Should I Get Short Term Health Insurance?